We still have some spaces available in our first Holiday Brownies unit. 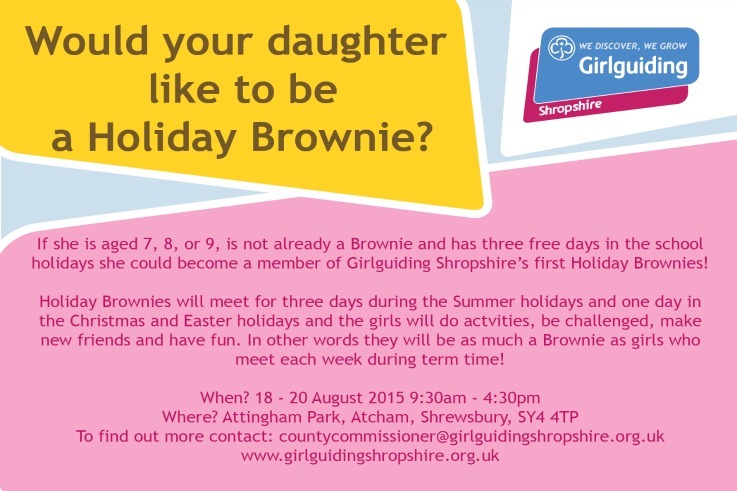 We are getting excited about our first Shropshire Holiday Brownies unit, which is being held 18*20 August 2015 at Attingham Park, near Shrewsbury. We still have some places, open to Brownie-aged girls (7-9years old). Priority will be given to girls who are on waiting lists for Shropshire Brownie units.